A one of kind custard shop in Waco, Texas, featuring ice cream made fresh every hour. 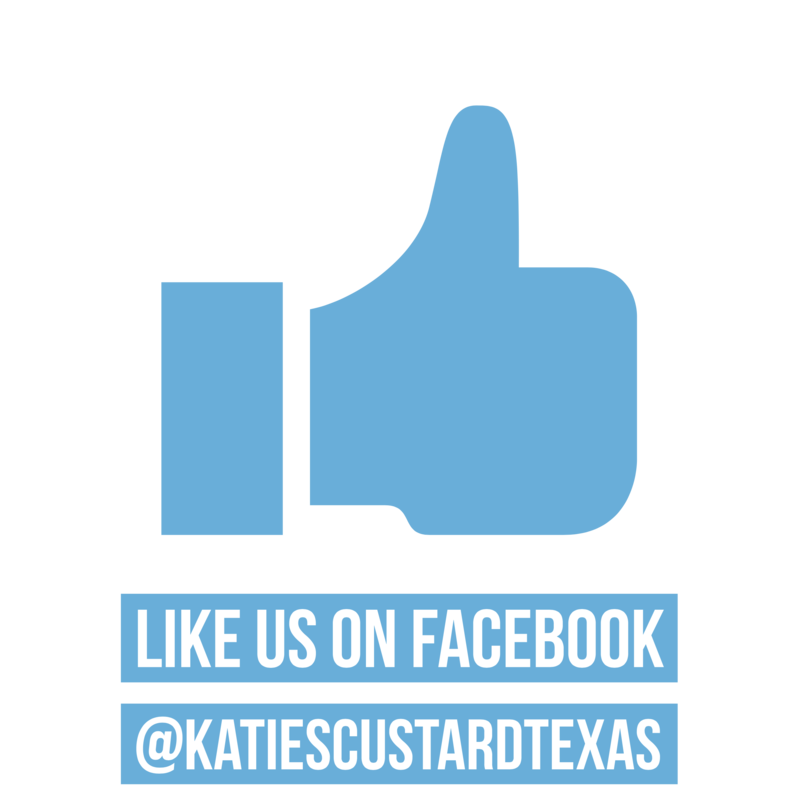 Katie’s Frozen Custard is a family owned business started right here in Waco, TX. We opened our doors in June 2002 and have been serving our fresh made frozen custard ever since. There is only one Katie’s! You won’t find anything that compares to us – we are a one of a kind custard shop in Waco. We have a wide variety of options for your taste buds: the Texas Turtle, Brownie Hot Fudge Sundae, Strawbana, and Specialty Cyclones, just to name a few of our favorites! On a diet, or looking for no sugar???? We also have a LoCarb Splenda Vanilla that is amazing! Anything on our menu can be substituted with LoCarb. Hungry?? 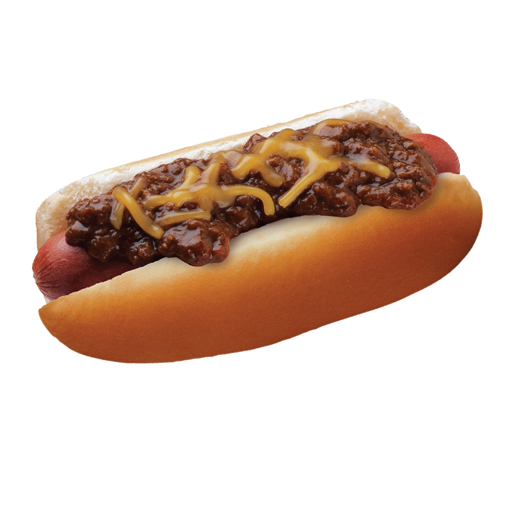 KATIE’S Beef Brisket Hot Dogs are made to perfection with many options to make your perfect dog! Add chips and a drink or shake for the perfect meal. 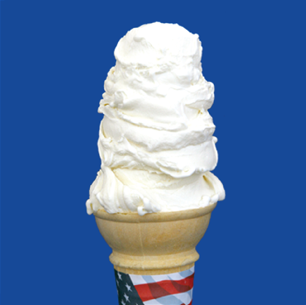 KATIE’S Frozen Custard is a gourmet ice cream made fresh every hour. It is creamier, smoother, and denser than regular ice cream. 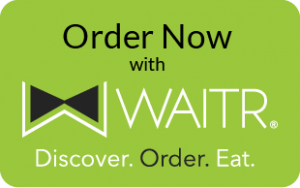 Now come and taste the difference for yourself! Hungry for something Hot & Savory? 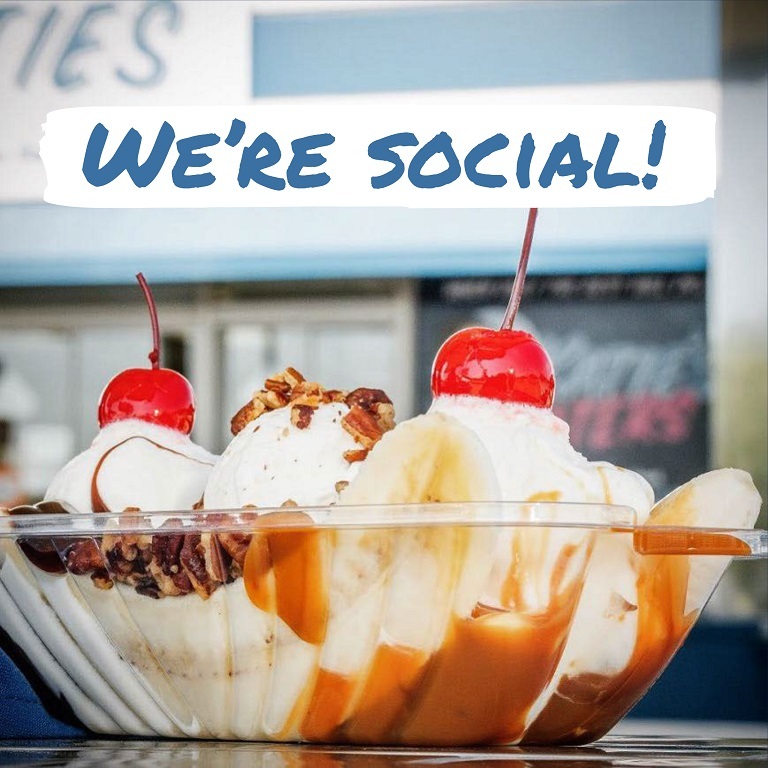 KATIE’s Frozen Custard has all your classic ice cream shop treats as well as delicious hot and savory menu items. 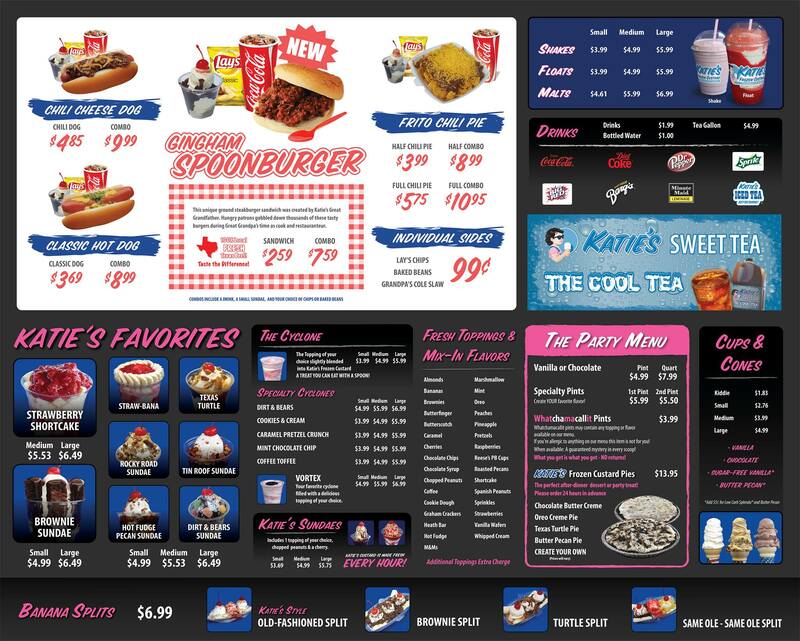 Try a beef brisket hot dog, Frito chili pie, or our famous “Spoonburger”. Why not take Katie's with you? 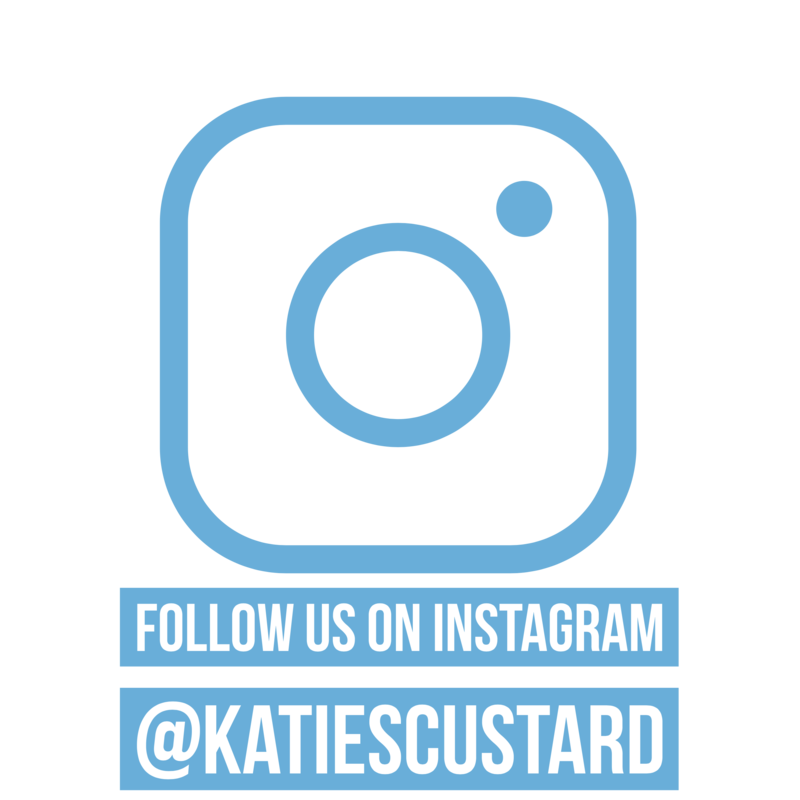 KATIE’S Frozen Custard…to go! Take a pint or quart of your favorite flavor of Katie’s custard with you. 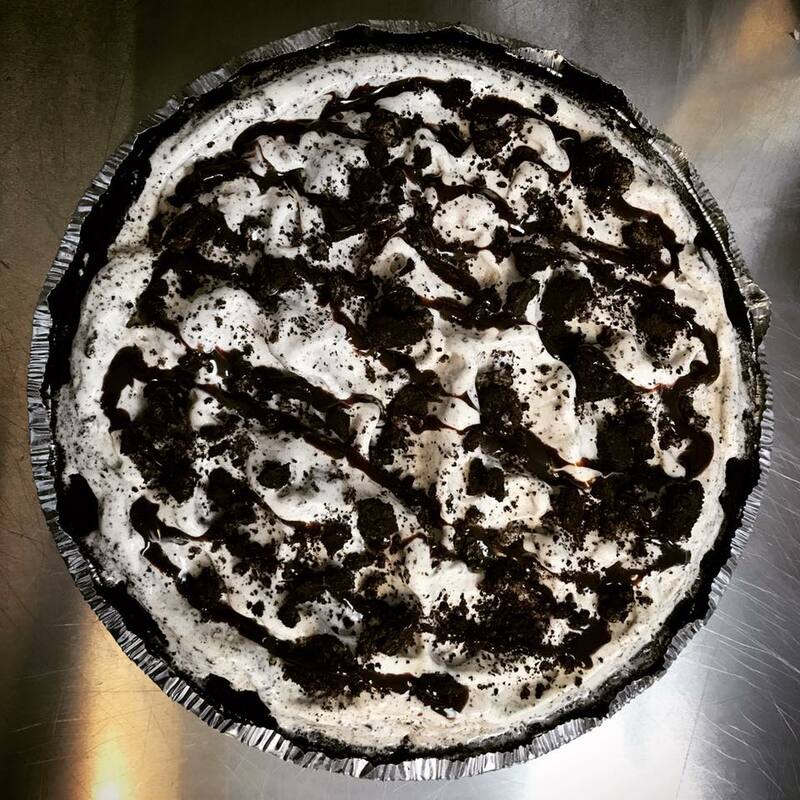 You can even order a Sundae Party Pack or Frozen Custard Pies for your next party. Everyone ♥’s Katie’s! We are a Locals Love Us Winner! Thank you, Waco, for voting Katie’s Frozen Custard as your favorite place for Sweets, Treats, and Desserts.